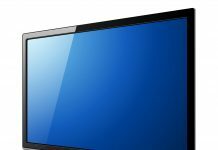 While there are some really big names in the tablet game, there are other lesser known brand names that provide top quality tablets, too. You don't have to pay for the name if you want a good tablet that will provide you with function and value. A great example of a brand that may not get as much recognition but provides excellent tablets is Nextbook. Nextbook may not have the name recognition, but the company does provide a range of products that are budget-friendly. If you have always wanted a tablet but couldn't afford the huge brand name products, then Nextbook may have something that will work for you. Check out the following list of the best Nextbook tablet options, which offer you everything from convertible work tablets to high functioning e-readers. This is 2-in-1 tablet offering from Nextbook. It runs Windows and comes with one-year trials of OneDrive storage and Microsoft Office. You also get free Skype minutes for a year. The keyboard is detachable so you can use this as a tablet or a laptop, depending on your needs. It has a nine-inch screen, but the resolution is not full HD. It has two GB of RAM with 32 Gb of storage, but it also takes an SD card to expand storage. It is not sluggish, offering fairly good performance that goes above what you would expect in the budget price range. This tablet weighs in at 2.6 pounds and has a battery life of around 6.5 hours. 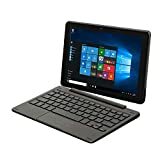 This tablet is great for work use and can provide you with a portable solution if you travel a lot and cannot carry around a full-sized laptop. 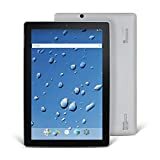 This tablet offers many great features that puts it right up there with the larger brand name products. It has Bluetooth capabilities and is running an Android system. It runs a quad core processor at 1.33 GHz. It also has one GB of RAM and 16 GB of storage. You can add an SD card to expand storage up to 128 GB, which is a staggering high amount of storage for a budget device. The tablet has an eight-inch screen with detailed and bright image capability. This is the ultimate tablet if you are into gaming, surfing the internet or watching videos. It offers great functionality for carrying out those common tasks seamlessly. With a screen just under eight inches, this is a smaller sized tablet. It has a quad core processor and eight GB of storage. There are ports for an SD card to expand memory up to 64 GB, along with USB and HDMI ports. This tablet runs Android so you have access to many of the great Android features. This is part of the basic Nextbook product line, so it is the lower end of what the company sells. Its price tag reflects that, though. It is great for light use. Running a quad core processor, this tablet runs the Microsoft operating system. It has a screen size just under 12 inches, which is fairly large for tablets. 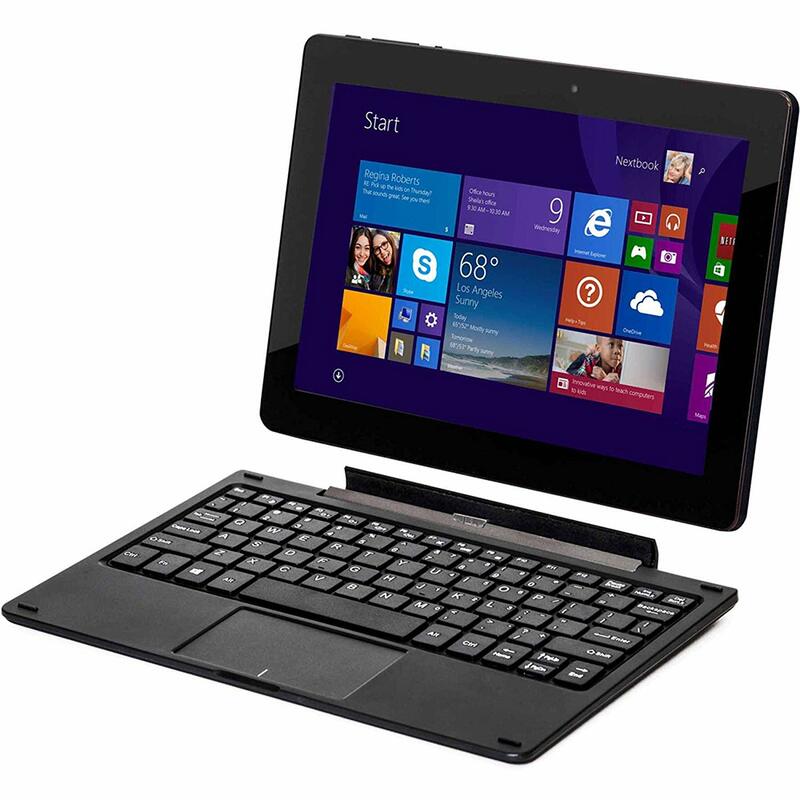 However, it serves as a 2-in-1 and features a detachable keyboard. This is a tablet that is meant for serious use. It has 64 GB storage with double the storage available if you install an SD card. 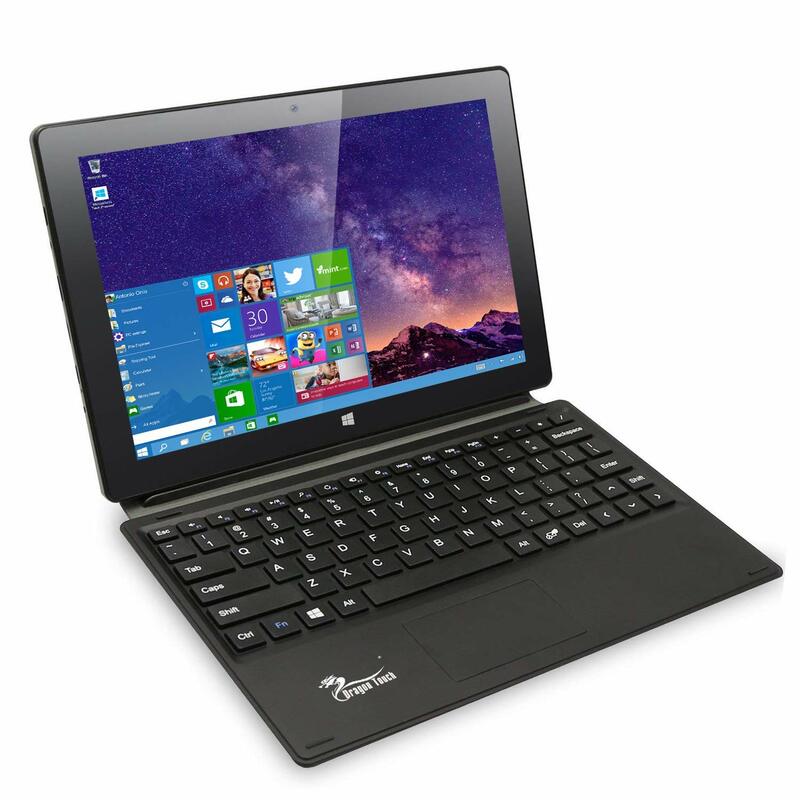 It has all the functionality you would expect from a laptop with the usability of a tablet. This would make a great work device because it is portable yet big enough to have screen space for designing work related documents. This tablet runs the Android system. It has a seven-inch screen and is super light and thin. It has two GB of storage. This tablet was designed for the reader, coming with preloaded books you can read for free and a connection with Borders bookstore to offer easy access to even more reading material. Of course, it also provides the ability to watch movies, listen to audio and play games. It is great if you want to read on the go because it is the perfect size to fit into a purse or bag. Another e-reader designed tablet, this version of the NEXT product line also features the Android operating system. It is also very lightweight with a thin construction that makes it nice to hold even while reading for hours without fatiguing your arms, hands or wrists. 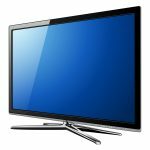 The functionality includes being able to surf the web, watch movies and play games. It also comes with free books already downloaded and easy access to the Borders bookstore. Because Nextbook is not one of the brands that are so widely talked about, you may not be familiar with its products. Nextbook is considered a budget brand because it keeps the prices low on its products. 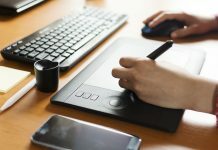 While some of the brand's tablets run Windows, most use Android because of it being free to use, which helps save licensing fees that run up the prices of the tablets. This company has managed to also keep prices down by keeping CPU and RAM on the lower end, though most tablets do offer expandable storage options. They may run a bit slower than higher priced tablets, but that is an expected tradeoff for the extreme savings you get by buying a Nextbook tablet. The company also produces all the tablets in the U.S. It is a small company with lower overhead costs, too. These factors play into the ability to offer lower priced goods. In addition, it means fast shipping and quicker introduction of newer products. There are some limitations with Nextbook tablets. The most obvious is that Google Play is not available on these tablets. They use the third-party GetJar instead, which offers limited access to apps. You won't get everything you would with Google Play. However, the company is working on Play access and hoping to roll that out to customers soon. Nextbook tablets are great if you are a casual user who wants to surf the web or read books or if you want a 2-in-1 to create documents or spreadsheets. It is not as great if you are a gamer or someone who wants all the top features you would get with a bigger brand name tablet. These tablets are also nice if you don't have a lot to spend but want to own a tablet. Size: There are tablets offered in a range of sizes. While a couple inches one way or the other may not seem like a big deal, it can really affect user experience and functionality. You need to consider how you will use the device to know what screen size will work best for you. In addition, you need to think about your own comfort. For example, if you are getting a tablet because you hate dealing with the small screen of your smartphone, then you will probably want a larger screen size to really give you the ease of reading text and seeing details. If you want to use the tablet as a laptop, then the larger screens are probably going to work better. On the other hand, if you want something compact on which to read books, then a smaller screen is probably okay. Operating system: Nextbook tablets run Android or Microsoft systems. Microsoft systems tend to be a bit slower, but they are much better for working on the tablet and using it like a laptop. Android offers more ability to play games and videos. It also runs quicker. You have to decide what is best for your needs and how you plan to use the tablet as to what operating system will work best. Before buying you may want to do more research into each operating system so you get a better idea of what to expect. If your smartphone runs Android, then you can expect the tablet running Android to be very similar in operation. The same is true if you computer runs Microsoft. Features: Obviously, you have a reason for getting a tablet, so when looking at features, you need to keep that reason in mind. For example, if your main goal is to use the tablet for reading e-books, then Nextbook really has you covered there. Many of the tablets come with free books. However, if gaming is more your thing, then you need to look at the tablets that offer more gaming-friendly features. 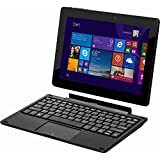 The 2-in-1 tablets are best suited for working and creating documents than for other activities, so if you are hoping to use this as a laptop, then those would be your best bet. The bottom line when choosing a tablet is to know how you will use it. You can then better figure out what you need in the tablet as far as function and design. Keeping these three main factors in mind will help you navigate the different products to see which one best suits your needs. It is important to understand that you cannot expect a Nextbook tablet to function in the same way an iPad, for example, would operate. The two products are not in the same league and Nextbook isn't trying to reproduce the iPad. The company is focused on providing function on a budget. The cost really weighs above all else, but the company also strives to provide you with the best your money can buy. Nextbook is a new wave in the tech industry because the company isn't trying to hide what it is. It is a budget company. The company realizes that many people cannot shell out the money to pay for the top name brands but at the same time, it realizes that doesn't mean you don't deserve the same performance. The biggest downfall with these tablets is that they run slower and don't have as much memory. These two aspects are what drives the price up for a device, so it is a given they will run slower and not have as much storage space. This is what you can get for the money. However, Nextbook works to deliver in other areas while also fine tuning the operation to ensure it is the best it can be. You might get free access to programs or free books, which is something that doesn't happen with other tablet brands. So, while buying a budget tablet means you lose some, it also means you gain. You not only get a tablet that won't break the bank but also you have a tablet backed by a company that really does care about it products. Too often, budget devices are just thrown together or they come from places that use inferior materials. That isn't the case with Nextbook. Its products are made in the U.S.A. and it strives to provide the best value for your money. Nextbook is a brand that you may not know too well, but it is one of the best budget brands on the market. If cost is a huge factor for you, you do not have to go with the generic tablets that are all over the market. You can go with a brand name that backs its products, like Nextbook. When you choose a Nextbook tablet, you get plenty of functionality and features. They stand up well to brand name tablets with few downsides. You may not have access to Google Play, but you do get access to an app store that will provide you with many of the most commonly used apps. You also get access to some freebies that you won't get with more expensive tablets. While the speed of these tablets may not be space age, they do the job just fine. The key is really knowing what you want and ensuring the tablet can perform the way you need it. 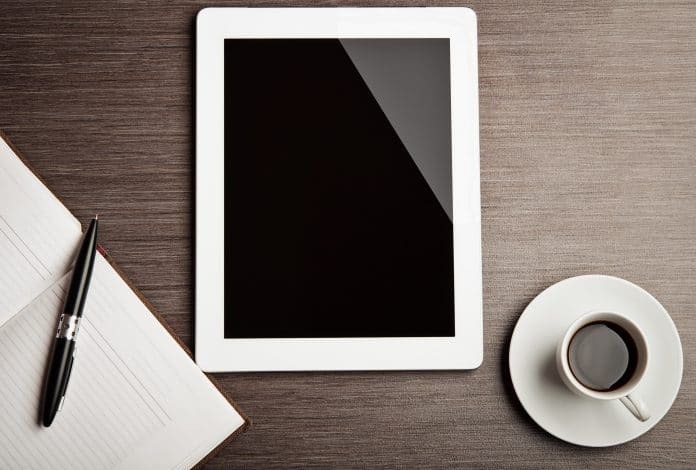 As long as you match your needs to the tablet, Nextbook can be a great choice. You'll save money over more popular brand names while still getting the functionality you desire.